Options to tour the best family-friendly sites in Orange County, or return to the New Library to continue your exploration. 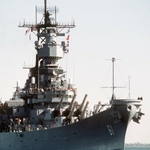 Visit the USS Iowa Museum at the Los Angeles Waterfront where history comes to life daily. You will have a docent guided tour where you will follow the journey of three generations of sailors – World War II, Korean War and the Cold War. 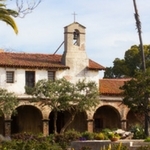 This is a wonderful overview tour that allows guests to visit and learn about the beginning of California through its Mission system as well as enjoy the beautiful town of San Juan Capistrano. Once arriving to the Mission, docents will lead the group on a tour of a portion of the 10 ½ acre facility. Beautiful landscaped courtyards, old adobe buildings and a chapel adorned with an ornate gilded alter are just a few of the sights they will see and enjoy. Spend the day at the happiest place on earth! 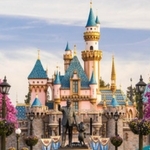 This is a one day park hopper so you can hop to Disneyland or Disney’s California Adventure. Enjoy the day hopping on exciting rides or just walking the park. Guests will board electric boats, each can hold up to ten passengers, and depart for their guided tour of Newport Bay. Guides will point out interesting facts about the area, such as information on the early days of Newport Beach and the Bay. It’s a perfect way to enjoy a time with friends and family. 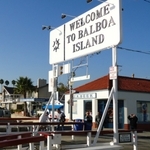 Balboa Island, located within Newport Harbor, is a quaint and scenic island with a famous Boardwalk. You will see beachfront homes and panoramic views of the Pacific Ocean. Friendly and knowledgeable guides will walk guests around the island, pointing out fun facts and famous landmarks. 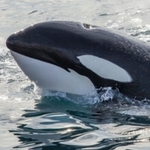 Dolphin and Whale Watching in Newport Beach offers you the opportunity to get up close and view the exquisite sea creatures. A wildlife cruise can be one of the most peaceful and exciting adventures of your lifetime! Or continue exploring the New Nixon Library at no charge. * The Newport Beach Marriott will be the lead hotel for the reunion.